I love how princessy she is, yet clearly an action hero! Can't wait to see her in a fight. Blackie looks like an awesome partner. I'm looking forward to hearing more about Princess Batman's adventures! Now that this has been up a while, I', not wild about the drawing. She seems older or something. Definitely not on par with yesterday's drawing. 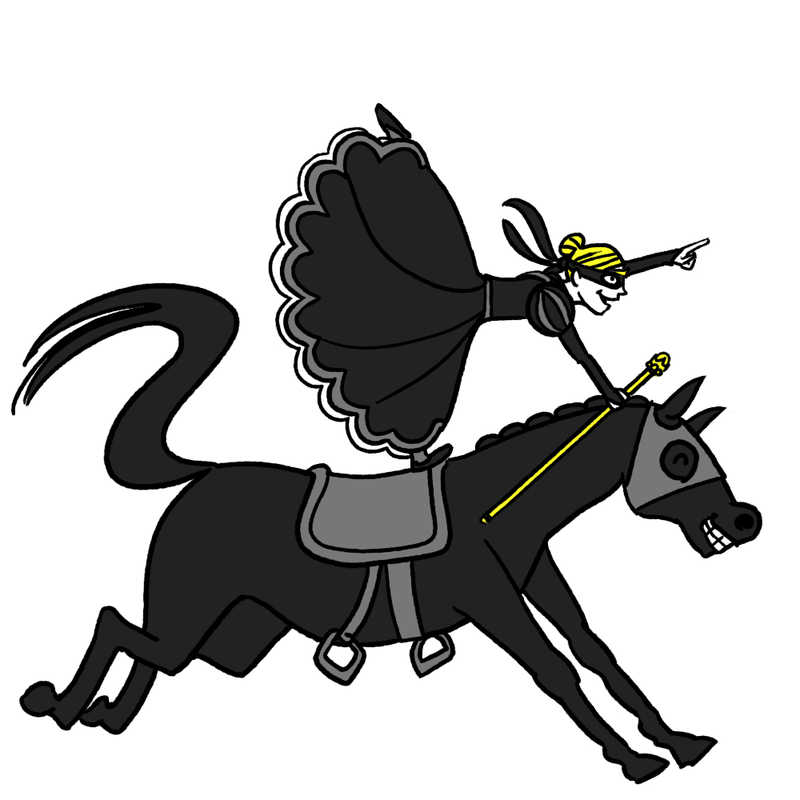 The horse is okay, but the princess is a little off. Ha! I like that Blacky has a mask. And what a grin! Your horses have evolved since Punzie's Roger. I think if you let some of her hair stream out and toyed with her mouth a bit, she'd look younger, but you're the expert.